When I was a freshman in college, I had the wonderful experience of getting to hear Maya Angelou speak. It has been nearly 15 years since that evening, and most of what she said that has drifted out of my memory. What I remember most distinctly was how her presence filled the gym where she spoke. Her confidence. Her joy. The easy energy she carried with her. The way she casually dropped truth bomb after truth bomb. She was phenomenal. 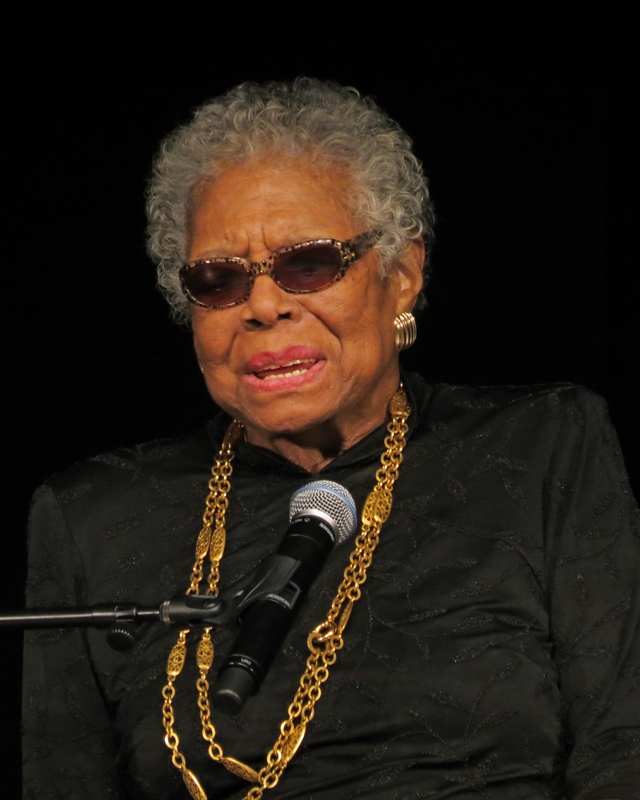 Since then, I’ve listened to a number of conversations with her, read her poetry, and learned more about her life, and what I think I can appreciate now that I couldn’t as a college freshman was how Maya Angelou seemed to appreciate that despite the personal trauma she’d experienced (and there was quite a bit of that), despite the formal and informal racism she faced (and there was quite a bit of that), that one of the most revolutionary and subversive things that she could do was smile at the world, love herself, and be a whole person — on her own terms. Oprah’s Super Soul Conversations created a lovely homage and video with a recording of Dr. Angelou reading this poem. Again, hearing Dr. Angelou give life to these words brings out some of her magic.